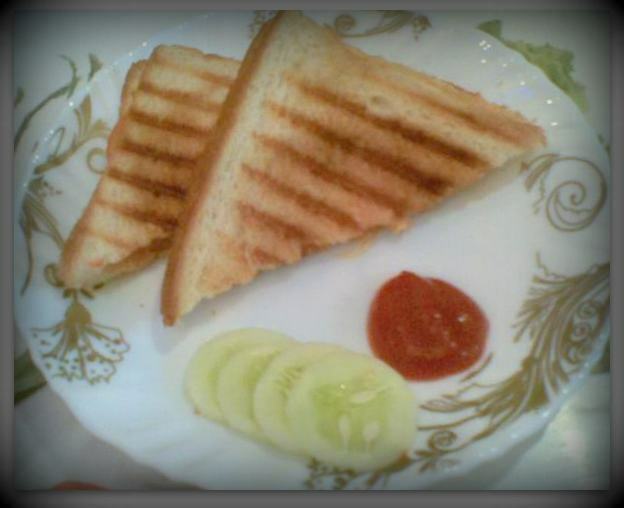 Vegetable Grilled Sandwich | What's on my plate today!! This is an easy snack which is all time favorite for all the age groups. From your busy schedule take out few minutes and in no time a very healthy, light and yummy snack is ready for you!! I have tried this on many occasions and it has always saved my time and energy both!! So here’s the easy made perfect snack for your evening tea……. Serve hot with sauce of your choice and tea!! This entry was posted in Indian Food Recipe, Refreshments and tagged bread, breakfast, butter, cucumber, evening snack, food, Indian Food, Indian recipe, light, Refreshments, vegetarian by whatsonmyplateblog. Bookmark the permalink.